Dr Khodadoust was the first and only foreign assistant at the John Hopkins University of Ophthalmology also known as the best assistant to the Wilmer Medical Center. Later became the professor of Medicine Wilmer Ophthalmologist in Wilmer university. He operated the first successful transplantation of the cornea in Iran in the year 1967. In 2014, he founded the Research Group “Development of New Science in Ophthalmology” in Iran. He was known as the leading corneal surgeon introduced by prominent American ophthalmologists and named the Khodadoust Line method in cornea bind on the mechanism of bone excision (a symptom of corneal rejection or corneal transplantation). He submitted numerous articles and did research activities in basic sciences (40 publications indexed in PubMed). 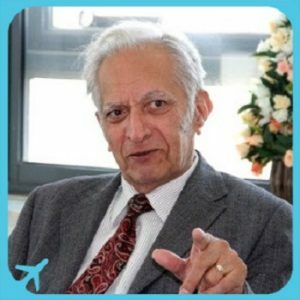 Dr Khodadoust passed away on 10 March 2018 due to a heart disease. AriaMedTour appreciates his lifelong dedication to treatment of eye diseases. His profile page remains active on the website but from now on we only work with the team of ophthalmologists trained by Dr Khodadoust.